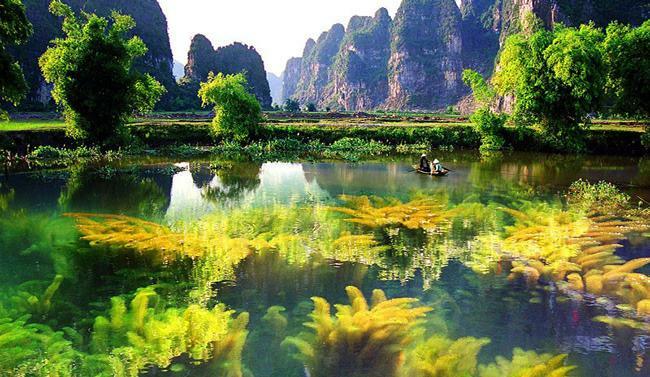 The site is where tourists can come to find peace in a tranquil atmosphere. 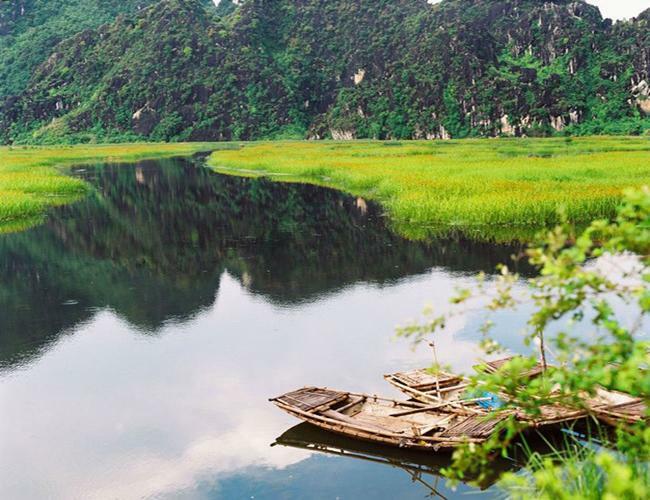 Although it was opened for tourism in 1998, Van Long is still as primitive as ever. 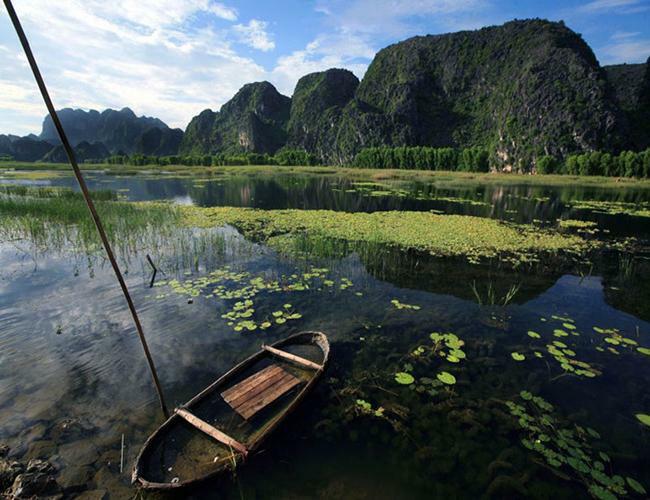 It remains an attractive destination for local and foreign visitors. 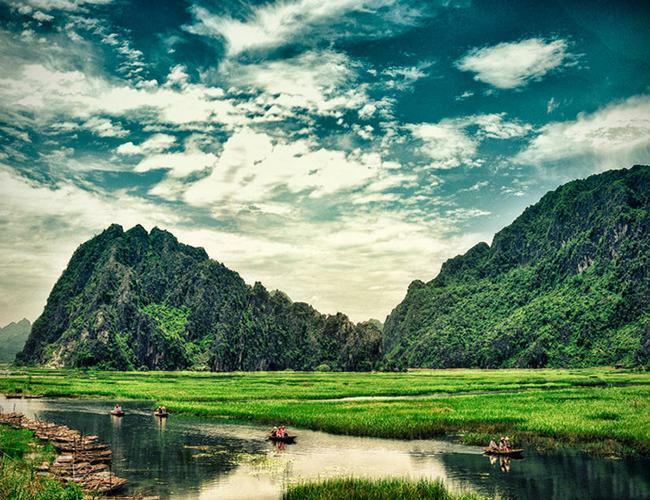 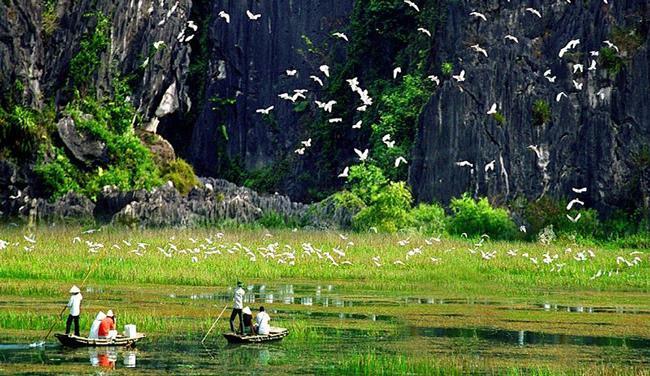 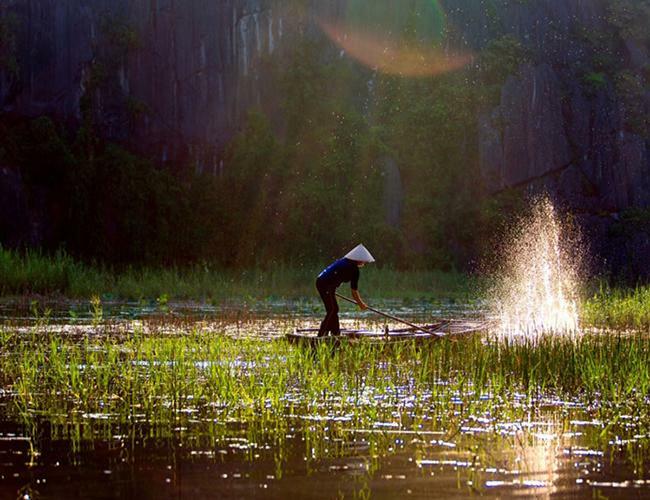 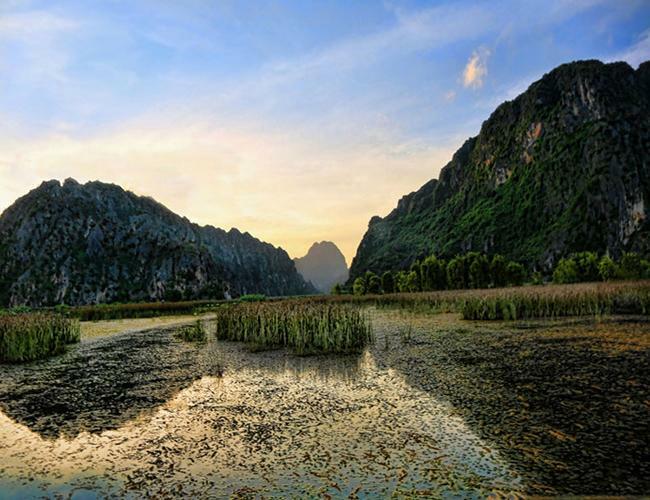 Around 80 kilometers from Hanoi, Van Long Nature Reserve in Gia Van Commune, Gia Vien District, Ninh Binh Province is as beautiful as a painting. 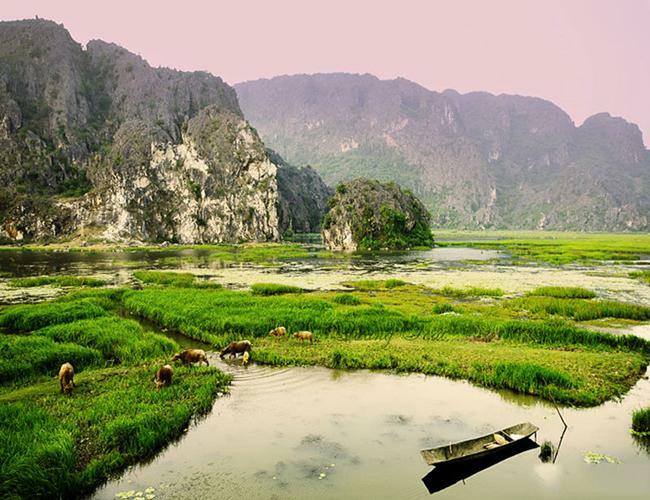 Van Long has 33 caves of different sizes but only some of them are open to tourists. 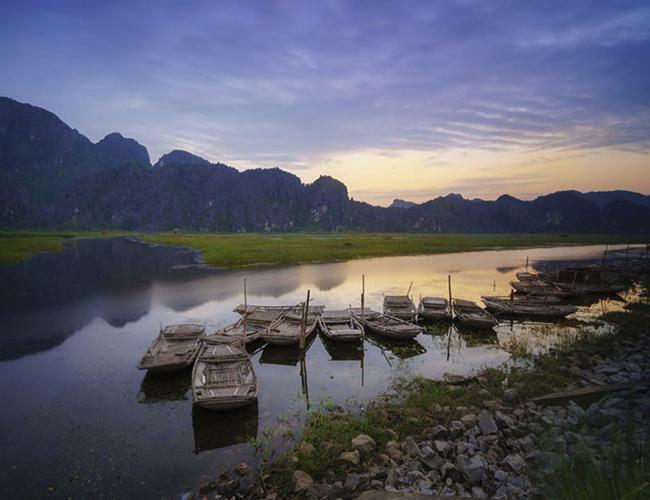 Coming to the site, tourists should take bamboo basket boat tours to see Delacour’s langur in Ca Cave and the shades of mountains reflected on the crystal clear water surface in Bong Cave. 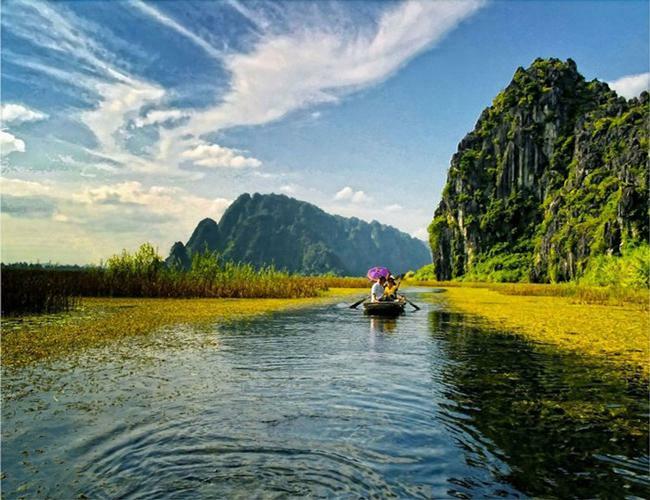 A sightseeing trip by boat takes around one hour and a half and costs VND75,000 (nearly US$3.4) per adult . 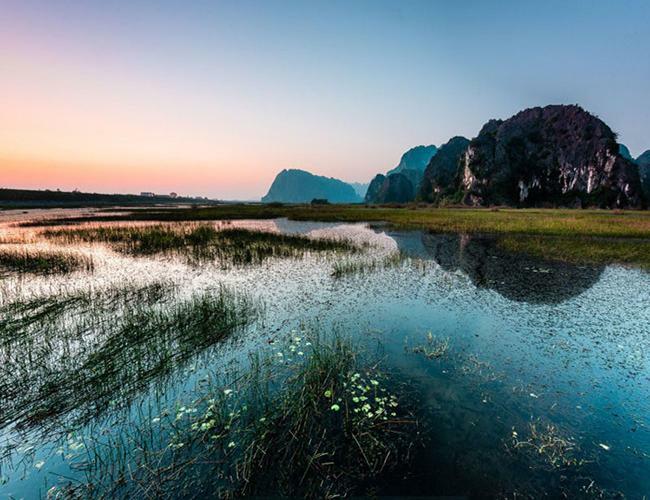 Tourists should take the tour early in the morning to watch the site at dawn, or late in the afternoon to admire the breathtaking view of flocks of storks returning to their nests at sunset. 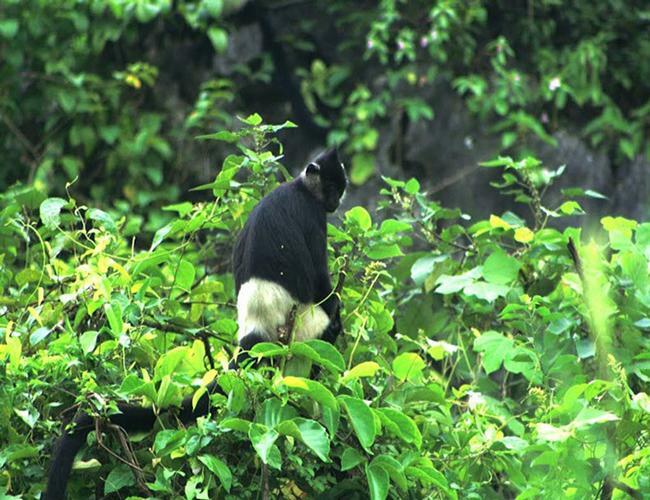 Van Long Nature Reserve holds two national records: the biggest community of Delacour’s langur and the largest natural painting. 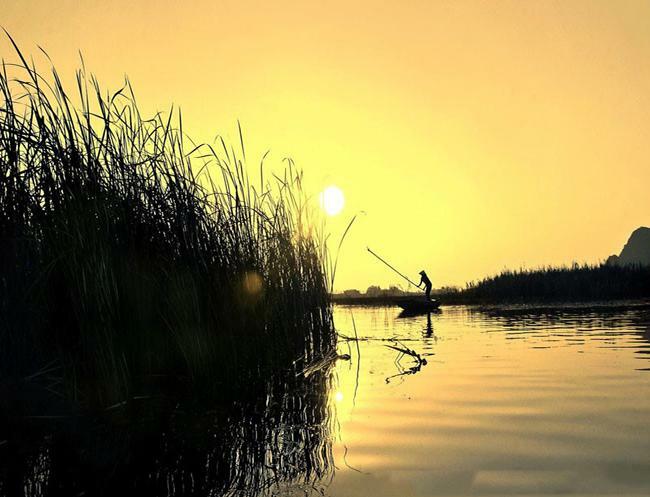 The biggest wetland nature reserve site in the northern delta with an area of 3,500 hectares is home to thousands of terrestrial and aquatic animals and plants. 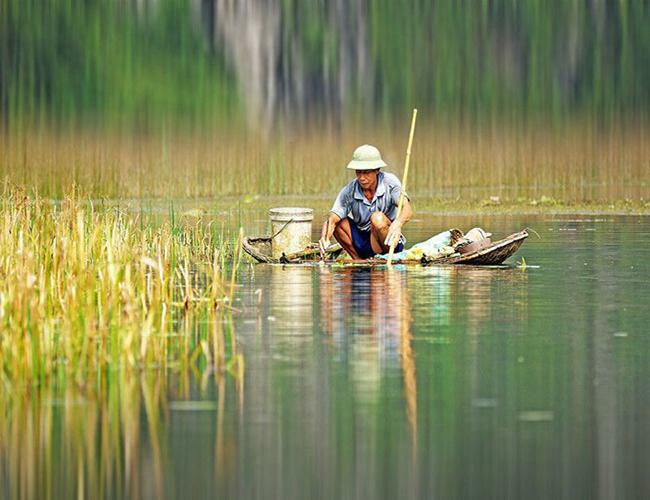 Among them are rare and endangered species such as waterfowl, giant water bug which is in Vietnam’s Red Book, and Delacour’s langur, a critically endangered species at home and abroad.